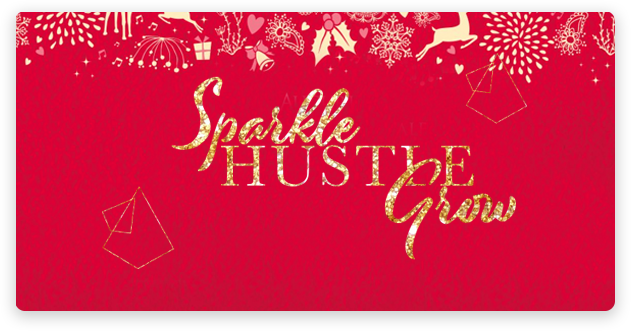 You have just found THE perfect gift for any #BossLady in your life. 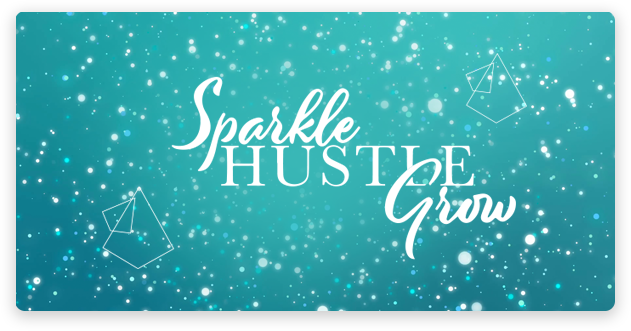 you can’t go wrong with a gift card from Sparkle Hustle Grow! 1) Pick your design below. 2) Choose your dollar value. 3) Get your gift card via email. How to send a gift card: Choose your gift card design and dollar value. After you’ve added it to your cart, proceed through checkout. 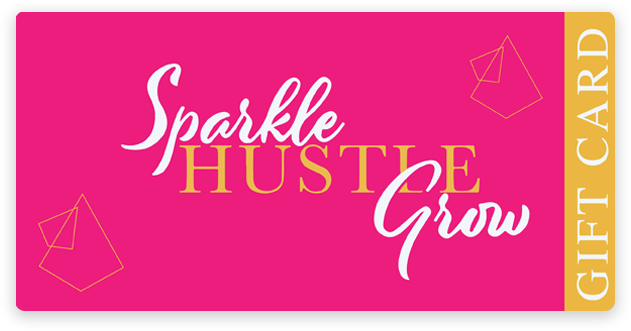 You (as the purchaser) will receive an email with the gift card information that you can use to forward to your gift receiver or print out if you wish to do so. When does it expire? It will expire in one (1) year from the date it is claimed (via the gift card email the purchaser receives after completing checking out). How to redeem a gift card: To redeem a gift card on the checkout page, simply copy and paste the card code into the coupon field at checkout. Can a gift card be used more than once? Yes, as long as the gift card still has money on it. How do I check my gift card balance? You can check your card balance on your account page, once logged in. Can a gift card cover the cost of shipping & taxes? Yes, gift cards apply to the final order total which includes shipping and taxes. Can a gift card be used on an existing subscription? Yes, if a customer has a gift card and an existing subscription their renewal will use whatever balance is left on their card to pay for the renewal first and will use their credit card second. How does the gift card recipient get their gift card? The person who buys the gift card will receive an email with the gift card information that they can use to forward to their gift receiver or print out if they wish to do so. Can I use a coupon code to purchase a gift card? Sorry, not at this time.